Process is a short first-person adventure game developed by TrainYard, a small team of indie developers, that anyone can download for free. The game is set in subway car trains and the story lasts for 20 minutes, the exact time when a disaster will happen, with the train derailing at full speed. 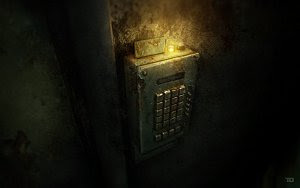 The player has to explore the cyberpunk and industrial interiors of the train, discover what is going on and prevent the tragedy, using a classic point and click interface and using a free 360 view of the surroundings.